settlement after a tragic, preventable accident sent him to the hospital in critical condition with life-threatening injuries. The accident happened at approximately 5:20 a.m. on April 17, 2015. Mr. Bliss was traveling on the Interstate 5 on-ramp off Harrison Avenue in Centralia when he collided with a dump truck that made an illegal U-turn across the on-ramp. Due to the severity of the impact, Mr. Bliss suffered permanent brain damage, in addition to a host of other injuries. The injuries left him fully dependent on the help of doctors and medical professionals for the past year. Had a flagger been present, this horrific accident would have been prevented. The lawsuit that was originally filed in June of 2015 named Washington State Department of Transportation, a contractor used by the Washington State Department of Transportation, and the dump truck driver as the defendants. During a court hearing at the Lewis County Superior Court, the judge approved the $18.5 million settlement after claiming that the “extraordinary injuries” Mr. Bliss suffered help explain the large sum. According to the victim’s attorney, Kirk Bernard, this settlement could be the largest of its kind in the history of Lewis County. 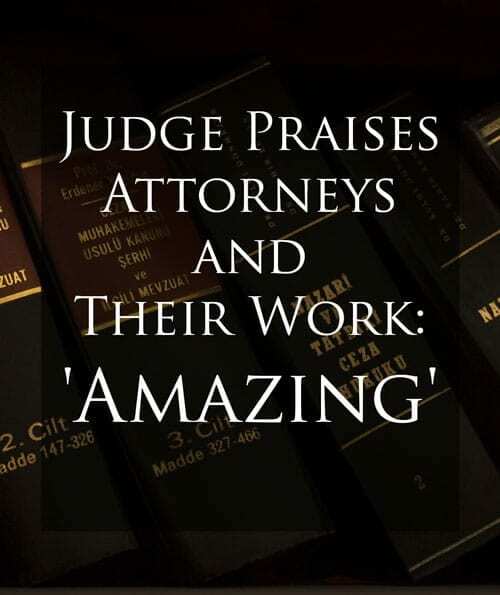 At the end of the court hearing, the judge stated that it is truly “amazing” they were able to resolve this case so quickly. According to attorney Kirk Bernard, Mr. Bliss is grateful that this case has been resolved. He also said Mr. Bliss is thankful for the support he received from everyone, including the first responders, medical professionals, community, and his legal team. After spending over a year in hospitals and rehabilitation facilities, he is now happy to be home working on moving forward with his life.